The equator runs through only ten countries on earth and I bet that you cannot name them all without consulting a map. Indonesia is one of them and the only nation in Asia with the equatorial stripe impaling it. There are so many different cultures spread-out on these islands, that it would take several lifetimes to experience them all properly. Within this umbrella of diversity is one of the world's richest and most dazzling sound museums. Sumatra is the northwestern entry point to the great archipelago. It is a large island approximately the size of California. There are jungles, mountains, swamps, various forms of myths and folklore, hustlers, Padang Food, Tigers, the Durian, dozens of cultures and languages, and more music than you've ever been allowed to hear. 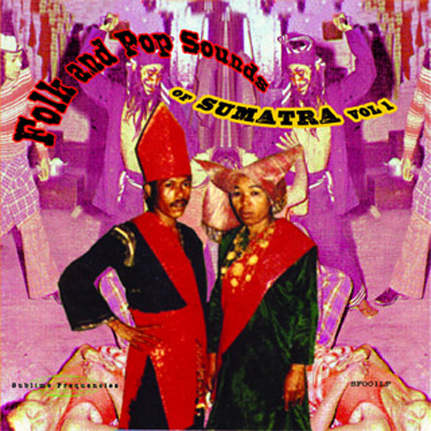 The selections on this CD are a combination of droning beat pop, pseudo-gypsy songs, jungle folk trance, and other improbable traditional and hybrid styles heard by only a handful of outsiders. 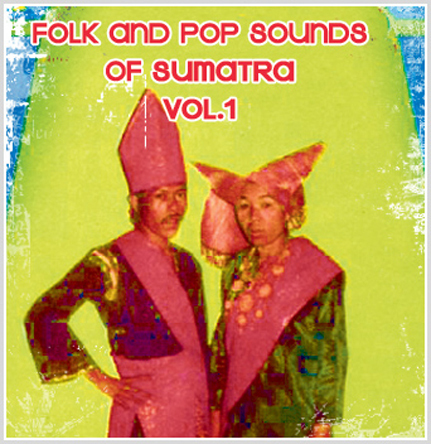 These recordings are from old cassette tapes received as gifts, in trade, or purchased from sources in Sumatra in 1989. Some of the tapes are unmarked with the artists unknown, yet all of them are decaying documents of various sound quality containing some of the most eccentric artifacts ever uncovered from this fascinating island. LP is a limited edition full-color gatefold version of the first Sublime Frequencies CD release from 2003.